Don’t let the youth of café culture in South Africa dissuade you…. The distinction between a café, a restaurant and a bar has been getting narrower in recent years. Nevertheless, one defining feature seems to be that a café is still one of the places most likely to serve different types of teas and coffees. 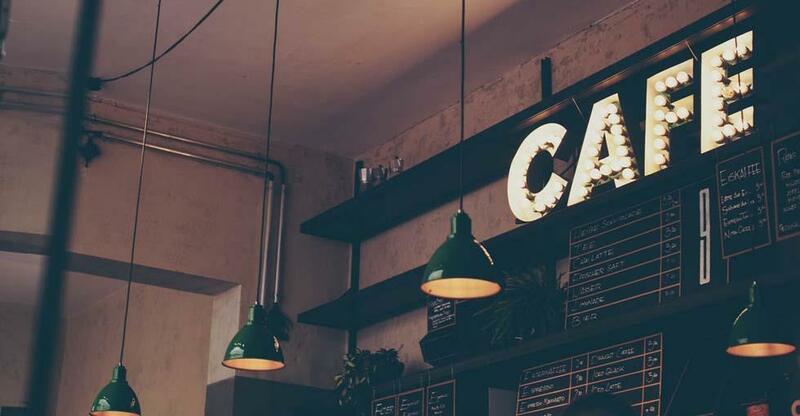 So, if you plan to get into the café business (often a popular choice for first-time entrepreneurs), here’s a guide detailing some of the issues and procedures you should consider when preparing to buy your café. Not too long ago, you had three choices of hot drinks in South Africa, tea, filter coffee or instant. A decade ago there was no such thing as café culture and absolutely no chance of purchasing a flat white or a chai latte. Now South Africa is experiencing a coffee revolution, countless hipster cafes are appearing, and Cape Town has become the epicentre of the South African coffee scene. Coupled with the new-found café culture and the increasing popularity of coffee, consumers are demanding better quality and ethically sourced drinks and there has been a vast increase in the demand for Fair Trade, Organic and origin-specific coffees. This rising demand for premium coffees has fuelled the growth of cafes, coffee shops and roasteries across the country. However, despite the growing popularity of coffee, it’s likely that tea will remain as the most popular hot drink in South Africa due to its inexpensive nature. Black tea may account for most of the tea sales in South Africa, but Rooibos or ‘Red Bush’, is still one of its major exports and has created a global industry worth over $23 billion due to the active promotion of its health benefit, which has helped to boost the sales. When buying a café, it’s important to remember you are acquiring what you hope will be a profitable business. Therefore, the quality of your own research will play a critical part in achieving that eventual goal. Conducting thorough due diligence to vet and quantify the worth, authenticity, financial performance, and commercial potential of any prospective business purchase is an essential safeguard. Your first priority should be to identify a business where the size and set-up matches your requirements and future plans. For instance, investing in a coffee kiosk in a city’s office zone might bring good returns for takeaway beverages, but if it’s intended to be a springboard to commercial catering contracts you’ll have nowhere to prepare your food. Remember also to look carefully at any equipment included in a sale. Catering equipment is expensive and highly specialised, so a wise acquisition could get your business off to a flying start, whilst a poor one could see you faced with a costly revamp. Your chosen site needs to be what retailers call a ‘high footfall’ area. This will give you a good level of passing trade and help your business survive. Note that ‘high footfall’ doesn’t always have to mean a high street location, other sites near transport terminals, for instance, can be surprisingly busy routes into a town or city. Even some out-of-town retail parks may prove surprisingly busy. Whatever your location, your business must be highly visible and convenient for your potential customers. So, if you are thinking of buying anything hidden from view, check out what the previous owner was allowed to do as regards advertising and signage to secure his customer base. As a new business owner, your enterprise will come under official scrutiny right from the start. You will invariably require a long list of official licences and permissions which may include: planning permissions, compliance with zonal restrictions on business enterprises, company registration, notifying the tax authority you have become a trader, obtaining a trading licence for selling foods, and much more besides. The prerequisite for any financing is a high-quality business plan which outlines your project in detail and contains the answers to most of the questions you will be asked. In particular, your plan must show how the funding you are requesting matches the scope of your ideas. Banks and other lenders will demand collateral security for any money they advance and will expect you to provide some level of capital investment from your own funds. Before finally committing yourself, you must be absolutely convinced that the reality of your proposed business burden is one you are fully prepared to accept. If you know it’s right for you, then good luck … there’s probably no better time to start brewing up those magic beans. Make your cafe stand out from the rest of the market. Read this to find out how to get your café ahead of the competition. What can you do to run a café that stands out from the competition? This article finds out!